China Nipoflange Manufacturer www.steeljrv.com offers ANSI B16.5 ASTM A182 F51 Nipoflange RTJ, 4″ X 1″, SCH160S, Class2500. Nipoflanges are used for branch pipelines at 90 degrees. They are a combination of a weld neck flange and a nipolet. Nipo-flanges are forged products manufactured out of one solid piece of steel and not different products welded together. The nipolet of the nipoflange is welded onto the run-pipe and creates a 90 degrees branch; on the other side of the nipoflange, the flange end connects to the branched pipe or to other devices (example a valve, a pump or a compressor). 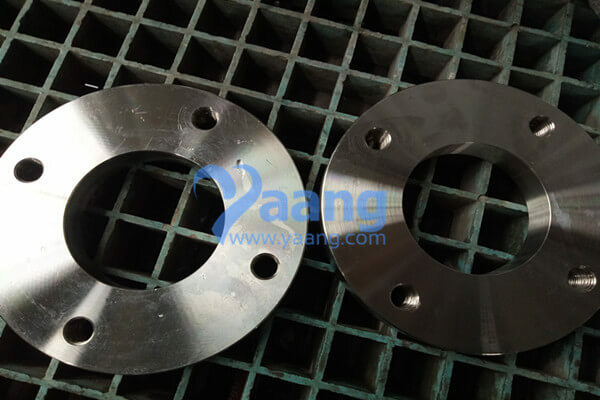 Nipoflanges are available in different materials, such as carbon steel ASTM A105 (high-temperature service), ASTM A350 (low-temperature carbon steel), ASTM A182 (stainless steel grades, including duplex and super duplex) and nickel alloys (Inconel, Incoloy, Hastelloy, etc). Nipoflanges are available in the reinforced type as well, which has additional mechanical strength compared to the standard type.